Diplomat: The relationship between Britain and the UAE is historical, not just after the formation of the Federation but prior to it. How would you say this relationship has evolved over the years and what are the current areas of focus? There is also the business side and when you see companies like BP and Shell who have been operating in this area for over 75 years. There are 100,000 British people here and its certainly the largest European overseas community here and so there are many people to people links with institutions that have been shaped because of their British background, look at the basis plug, for example. As you look forward, you see some world-class businesses here, and institutions operating form the UK here. You also see this wealth of British talent contributing to the development of this great nation. If you ask me where this is going to go in 10 years, the really exciting thing is that nobody really knows how this country is going to assert itself on the world stage. It’s made incredible progress after the last 40 years. The core element is for the partnership in terms of people and for Emiratis studying in the UK, living in London and elsewhere in the UK. Diplomat: Trade, business and commerce plays an important part as well and British foreign policy focuses on trade and diplomacy is an integral part of your agenda. How do you see the trade relationship and the bilateral and not just the British companies investing in the UAE but also the UAE investing in Britain? How has that relationship been evolving over the years and how promising does it look to you in the future? Ambassador: It looks very promising. It’s a two-way street and you’re right, it’s not just about UK companies operating here, of which there are 5,000 or so. For our bilateral trade figures, we have set a target for having bilateral trade of 12 billion pounds sterling by 2015 and we are on track with 10 billion last year, having been 7.5 billion fours years ago, so it is very much so on an upward tick. As interestingly, we are seeing Emirati investment and some fabulous Emirati institutions such as Dubai Ports World operating. We are seeing Masdar in collaboration with London Ray developing wind-power energy in the UK as well as BP being a core partner with this country. Even more interestingly, there are some iconic examples, alongside Manchester City, where it is really working. Diplomat: In addition to trade and the historical relationship between the two countries, culture is also a key focus. How do you view the cultural relationship between the two countries and are their any particular exchange programmes in place where the people and people contact between the Emirati community and the British community can be enhanced further? Ambassador: I can give you a couple of examples. Last week, I was at the opening of an exhibition in Al Saadiyat Island by the British Museum in partnership with museums from across the UAE. The British Museum is the partner for developing the Sheikh Zayed National Museum on Saadiyat Island and this is a fabulous example of drawing in some of the world’s finest treasures from across the world through the British Museum, alongside some Emirati exhibits and artifacts helping the UAE to tell its own story in that global context. I was also at the Abu Dhabi Music and Arts Festival. We had the globe theatre, Sadler’s Wells’ Ballet, the Royal Opera House. All of them participating – not just performing things from the UK but doing community engagement, working in schools, looking at doing joint projects with Emirati Artists and I see a very lively exchange but I’d like to drive it forward more. I think sport is a really interesting area. On the 29th July the Emirati and British football teams will play each other in the London Olympics. Recently, Ras Al Khaimah had a 100-days to go where we developed a sports pitch as a lasting legacy from the Olympics. It is those kinds of people to people partnerships, which make the whole cultural and sporting side come alive. Diplomat: A lot of companies that are based in the UAE and international companies often consider the UK as a destination for investment and see London as a gateway into Europe. Are there any incentives being offered for potential investors into the UK. Ambassador: The great sell of the UK is that it is an open business environment without barriers to entry so you can invest there whether you are from the UK, the UAE or any other country, you can do business there. So, that is why London remains the world’s largest international finance centre. The inward investment agency (part of the UK Trade and Investment Authority) certainly works very closely with inward investors looking at seeing what may be available in terms of “incentivisation”, facilitating the local planning commissions, making the UK the most competitive place to go in Europe for the last 11 years for FDI (Foreign Direct Investment) projects for any other country into the UK. That is because it is a great place to do business. 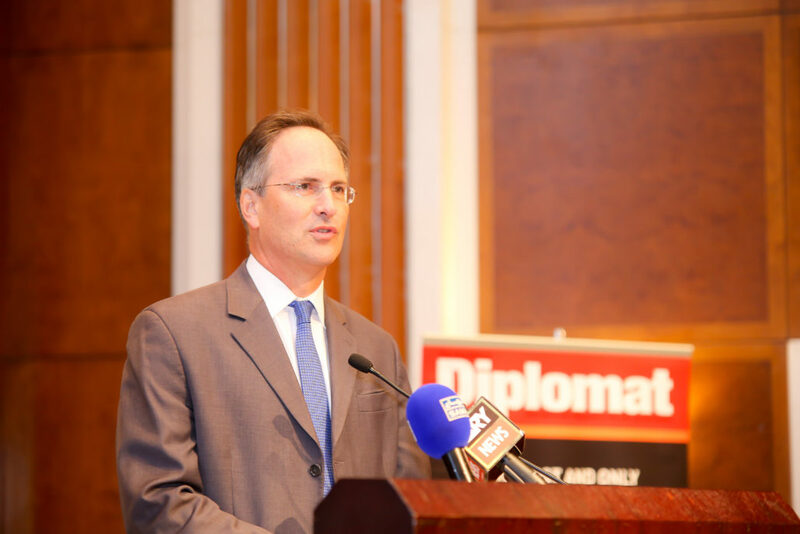 Diplomat: In terms of the Queen’s Jubilee, which a very important milestone for HM The Queen, what is Britain doing to mark this occasion and what and how can Britain based in the UAE celebrate the occasion? 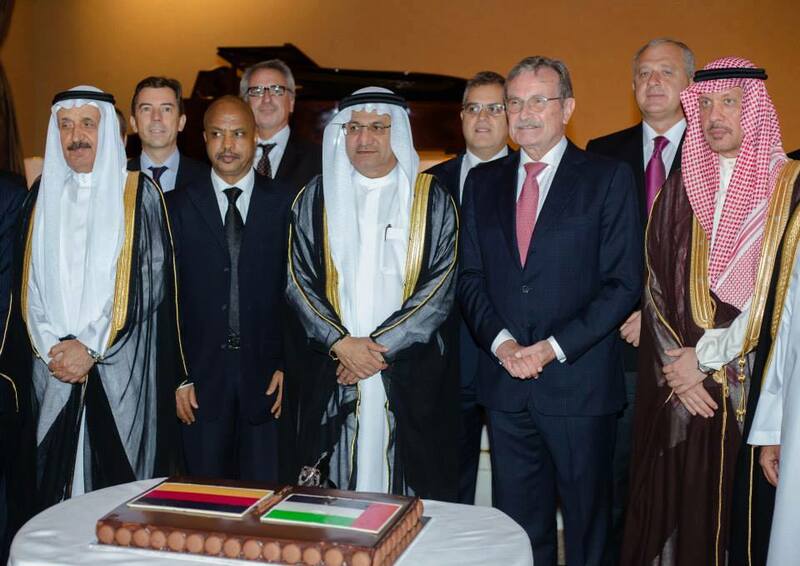 Ambassador: Well, we are marking it here in a number of ways through big celebrations for our Emirati, British and international residents here. It is part of a global celebration of someone who has had an enormous impact on the 21st century. She is the second-longest reigning British monarch after Queen Victoria and in the UAE she came in 1979, but she actually did a return visit, which is quite unusual, in 2010 and really enjoyed it. At the end of the Sate visit – she always calls the Ambassador – and she said, “it was tremendous fun and I felt very at home “, which was very nice and very good HM. In the UK there will be three parties. The sorts of celebrations but also there will be the most tremendous festivity in London. The Thames River will be ablaze will colour and H.M. will go down the Thames in a special Royal Barge and there will be a whole flotilla of boats accompanying her, some with orchestras on, some with entertainment and its going to be the most amazing spectacle. I think it will merge seamlessly into the spectacle that will be the London Olympics where we will see HM hosting, on one level, the world’s largest ever grouping of various Heads of States. Diplomat: That leads us to the Olympics. How have you marked this event in the UAE and what steps are being taken in the UAE to highlight the significance of the Olympics and how important is it for Britain’s economy? Ambassador: I think the Olympics is first and foremost about sport, about encouraging kids to take up sport as they can see their heroes competing and succeeding and that is why I am delighted that the Emirati football team has qualified. The event not only kids to do sport but also the Paralympics encourages people who may not feel, because of physical disabilities, that they have access. Actually what you will see, including athletes from the UAE, is some fantastic competitors coming through and I very much hope that the UAE Paralympic team will also be level with us alongside the main team. In the UK, the Olympics are about legacy and about embedding the spirit and culture of sport in schools, in community centres, right across the country. It is about the economy. The redevelopment of some parts of Eastern London where the infrastructure is in place and it’s all there. It’s all about the whole industry surrounding the Olympics. Where you see UK companies intrinsic to the success of the Olympics then going on and working in Brazil and other future Olympics or other posts right around the world and that is very important. Peace is also important and is something I will mention since you are a diplomatic magazine. There is something called the Olympic Truce – this is the idea that in the spirit of friendship in eh Olympics every country signs up to cease hostilities and warfare on the first day of the Olympics. 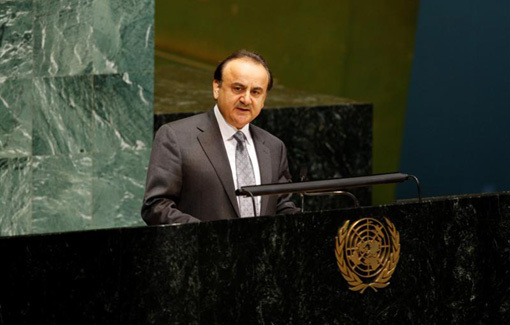 At the United Nations (UN), and for the first time – every member of the UN has signed up to this Treaty. The idea is that if you can do it for one day then why can’t do it for two, and if you can do it for two, then why not for a week. And for a week, then why not for a month and that is a tremendous legacy even if it just gets people talking and thinking about it. Then it’s worth it. Diplomat: There have been some concerns about the scale of the event attracting security issues. What would you say to potential visitors from this part of the world or the region that security measures will be adequate? Ambassador: The security will be much more than adequate! It is the highest priority of the government. We want to make sure that there is total security organized strategically but it feels as is it is business as usual in London and that is quite a clever trick to pull but we are confident. Diplomat: In term of the British community living in the UAE, there are cultural differences that sometimes result in problems. What steps are being taken so that British people are more aware of these cultural differences? Ambassador: We are very conscious that we are all guests of this country and so we want to encourage British nationals to get the best out of their experience here. That is very much about understanding and respecting local cultures so we have a very strong outreach campaign based through social media through Twitter, Facebook and blogs and through direct interaction with local schools. We make sure children are aware of the dangers of drink and drug abuse. The police here want foreign communities to respect cultures and they play a great art as do the tourist companies to make sure that before people come, they understanding what the difference are between the cultures if people are on holiday in Abu Dhabi, or Dubai. It is about knowledge and common sense. 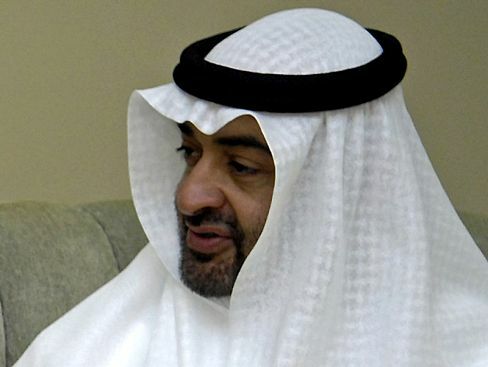 Diplomat: The development that the UAE has seen over the last four decades has been phenomenal. What are your reactions towards this amazing development? Ambassador: It is utterly staggering. It is quite amazing and what I think is really amazing now is the clear sense of priorities with the economic areas and the social infrastructure that this country wants to develop. 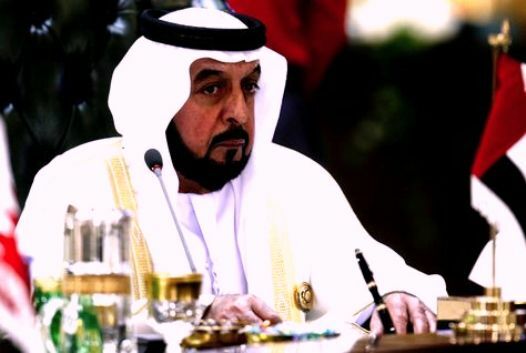 I’m pretty confident that if the UAE says, for example host the Olympics, at such and such a date, then they will be extremely strong competitors to do that because they have the strategic leadership to make it happen. Diplomat: Please tell us about yourself. You have been a diplomat for a number of years. Where has this journey taken you? Ambassador: I began as an investment banker in London and moved into the foreign office and moved straight to Pakistan and after that, to Afghanistan. Each of the jobs I have done, they have just been tremendously compelling and interesting. The sorts of things you get to deal with really matter, whether it is peace negotiations, supporting people who are at a real low point in the lives because they are bereaved, whether it is helping people make a decision where to study – these are really important. It’s a tremendous privilege to be here in the UAE and we enjoy the experience of interfacing with Emirati culture and life.